Anna Faris reacted to her ex-husband Chris Pratt's engagement in the best possible way. 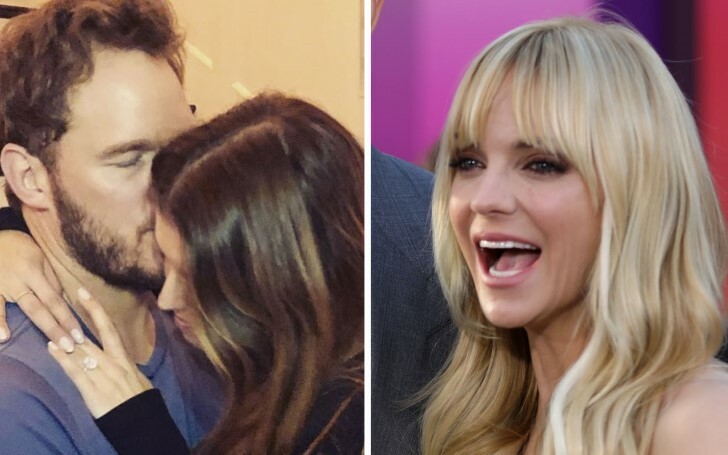 The Guardians of The Galaxy star Chris Pratt recently announced his engagement with his girlfriend Katherine Schwarzenneger and his ex-wife Anna Faris publicly congratulated them. On Sunday, January 13, the actor revealed, his proposal to her through an Instagram post with the caption “Sweet Katherine, so happy you said yes! on a photo of the couple cuddling each other as his fiancee showed off her diamond ring - “I’m thrilled to be marrying you." The star actor added, "Proud to live boldly in faith with you. Here we go!". Chris and Katherine first sparked relationship rumors in June 2018. Later, in December of last year, they officially confirmed their relationship after Chris posted a sweet tribute to Katherine in celebration of her 29th birthday. Since then, their relationship has heated up quickly leading to recent engagement. In fact, Chris Pratt and girlfriend Katherine Schwarzenegger were spotted in swimsuits in Cabo San Lucas on New Year's Eve. The Star-Lord was married to Anna Faris prior to this relationship. They first met back in 2007, while starring together in the comedy Take Me Home Tonight. Their relationship soon turned serious and in 2008 the couple finally got engaged. Eventually, in 2009 the couple got married and later in 2012 they welcomed their son, Jack into the world. In August of 2017, the duo announced their separation citing irreconcilable differences as a reason for their split. After finalizing their divorce in October, both have moved on to new relationships. The former couple apparently is still quite good friends, in fact, they celebrated Halloween with their significant partner as one big family last year and were seen laughing and smiling as they trick-or-treated in Los Angeles. Considering Faris' response toward her ex-husband Pratt's engagement, they might just be the friendliest exes in Hollywood.